Kartik Aaryan starrer Love Aaj Kal 2 a.k.a Aaj Kal (tentative title), started off on a right note. 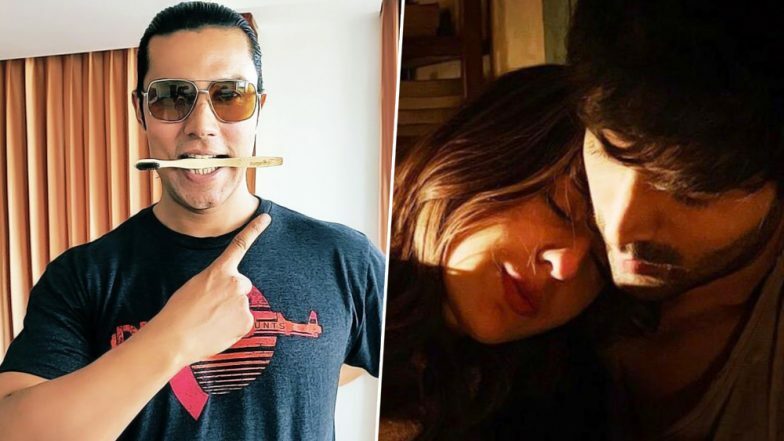 From starting the dating rumors between Kartik and Sara Ali Khan to finally revealing their first look for the film, the buzz is kept high by the makers. Now, the latest goss straight from the set of this romcom is about Randeep Hooda's role in the film. It was speculated that he will play Kartik's dad in the flick but that's not the case. He will be playing a love guru! After Sara Ali Khan-Sushant Singh Rajput, Kartik Aaryan-Ananya Panday's Relationship in Trouble?. "Rumours of Hooda playing Sara’s father are not true. "He will be playing a love advisor to Kartik who protects him and shows him the right path to get Sara," said a source close to the production. Now, if you have watched the prequel starring Saif Ali Khan and Deepika Padukone, you might remember a similar character. Rishi Kapoor played an elderly friend of Saif who narrated his love story and also guided Saif subtly. This might be on the similar lines! Meanwhile, a video is going viral which accidentally revealed Kartik's look for the film. He was sporting a french beard and the fans are elated to see his fresh look. The actor will be seen in various phases in the film. He will also romancing two more actresses other than Sara Ali Khan. Well, the hype around this project is way too high! What are your thoughts?